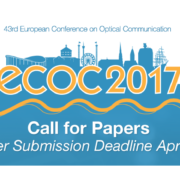 We therefore write to encourage you to contribute with a paper to ECOC 2017 and participate in the conference. The ECOC technical program is divided into 8 areas that cover the full width of component, system and network technologies relating to fiber optic communications. We are also excited about this year’s social program that includes a very special reception, dinner and concert. 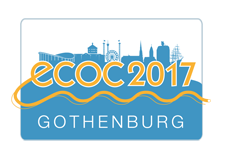 And as usual ECOC is co-located with the ECOC Exhibition – Europe’s largest exhibition in the fibre optic communication technology industry. Hotel Gothia Towers is the venue hotel and will be a popular hotel for all visitors to ECOC so we would recommend making your booking as soon as possible to secure your stay.